PRK (photorefractive keratectomy), which is now referred to as ASA (advanced surface ablation), was the forerunner to LASIK, gaining approval from the U.S. Food and Drug Administration in 1995. During PRK, the laser treats the surface of the cornea, rather than deeper tissue, and can be used to correct refractive errors including farsightedness, nearsightedness, and astigmatism. More severe myopia usually responds better to LASIK, in which deeper corneal tissue is treated. Our Honolulu practice offers PRK / ASA as an alternative method of laser vision correction for patients who may not be good candidates for LASIK, or for those who require a vision correction touch-up after a previous LASIK procedure. While PRK was the original refractive vision corrective surgery, technological innovations and procedural improvements have redefined it as advanced surface ablation (ASA). Dr. Alan Faulkner encourages patients to understand that the results achieved with the ASA procedure are now considered to be equal with LASIK. The nature of the ASA procedure simply allows a wider group of patients to enjoy the high-quality vision improvements that are possible with LASIK. Since PRK does not require the creation of a corneal flap to correct refractive errors, this procedure is often considered as an effective alternative for individuals who may not achieve the vision improvements they desire with LASIK or could experience undesirable side effects of LASIK. For example, professional athletes and some members of the military opt for PRK because a flapless procedure is more beneficial to their lifestyle. Additionally, PRK is the logical choice for any patient who has already undergone LASIK surgery and requires further vision refinement. During the consultation process, one of our eye doctors will examine your eyes, review your medical history, discuss your expectations for laser vision correction, and help determine if PRK is the best treatment option for you. 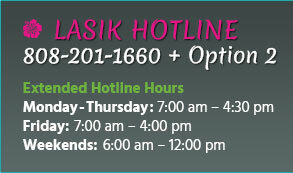 Prior to PRK, patients who normally wear contact lenses may be asked to wear glasses for two weeks before surgery. Using the latest PRK techniques, your eye surgeon can perform a comprehensive analysis of the eyes in order to develop a treatment plan tailored specifically to your needs. Prior to surgery Dr. Faulkner applies anesthetic medications to the eye to prevent any discomfort during the procedure. In the past, PRK was considered to be somewhat uncomfortable, but with these new medications patients often feel no pain while being treated. The excimer laser we use for PRK is guided by state-of-the-art technology, which delivers exceptional safety and vision correction accuracy. Once the laser is ready to apply your customized treatment, it takes only 30-60 seconds per eye to complete the procedure. 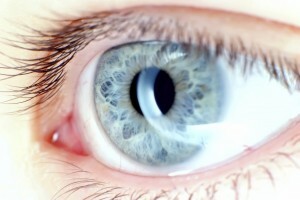 Minor discomfort may be present during the first five to six days of healing after PRK. Once the surface of the eye has healed, any uncomfortable sensations should dissipate completely. Dr. Faulkner encourages patients to limit their activities and become a “couch potato” for five or six days following their procedure, until the contact lens bandages are removed. After bandage removal, patients’ vision can be variable. Patients experience visual improvements over the next month. Within three to six months, the results of PRK become similar to those achieved with LASIK surgery.